Recently someone posted a question on Tripadvisor asking what would be the best place in Puerto Aventuras to catch a taxi from for someone who is putting up in a condo in Puerto Aventuras? Is it necessary to go to a resort to do so? Also, does a price have to be negotiated? Finding Taxi In Puerto Aventuras is easy. Generally, there would be some taxis waiting outside the main entrance of the condo. If that’s not the case, you can simply have the on-duty manager call a cab for you. You can also get yourself one from the taxi stand next to the Omni. The prices for taxi rides to different areas are all posted there. Prices are pretty reasonable. Another good option is to rent a golf cart for the day or for a week as per your convenience. They are a great way of getting around and the prices are also quite fair. 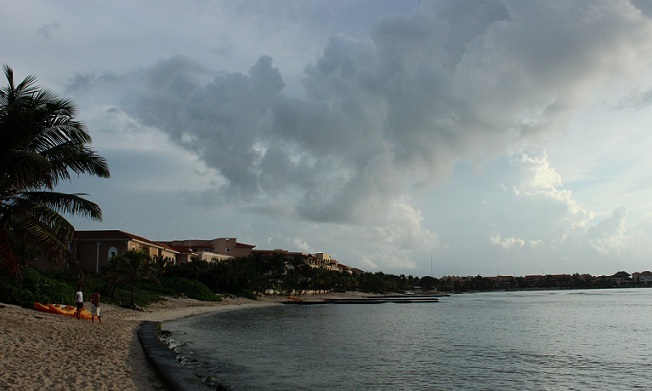 Puerto Morelos vs. Puerto Aventuras : Which One Is Better?